This summer we are holding an exciting holiday club for primary aged school children! It will be all about Space! 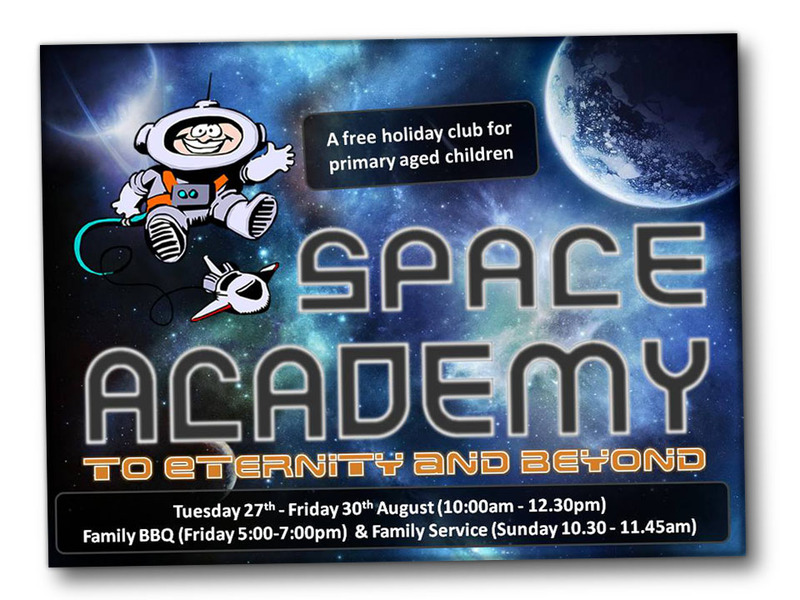 The holiday club will be held from Tuesday 27th until Friday 30th August (10:00am – 12.30pm). We are having a Family BBQ on Friday (5:00-7:00pm) and a Family Service on Sunday (10.30-11.45am). Please join us for these events! For more information about the ‘Space Academy’ Holiday Club please contact the Church Office 01246 231002 or visit the website www.waltonchurch.org.